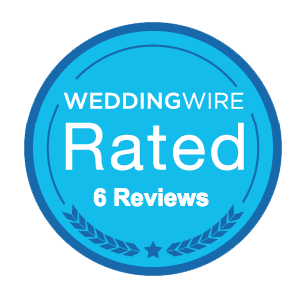 Sweet Darling Weddings, creating lasting memories in Central Illinois and beyond. True love can be found anywhere... even in a high school organization such as FFA, which is where this Champaign couple found each other. Their love for 4-H and FFA also led us to Allerton Park in Monticello for their engagement pictures last fall. In addition to their passion for FFA, it won't take long for you to realize they are big Illini fans. 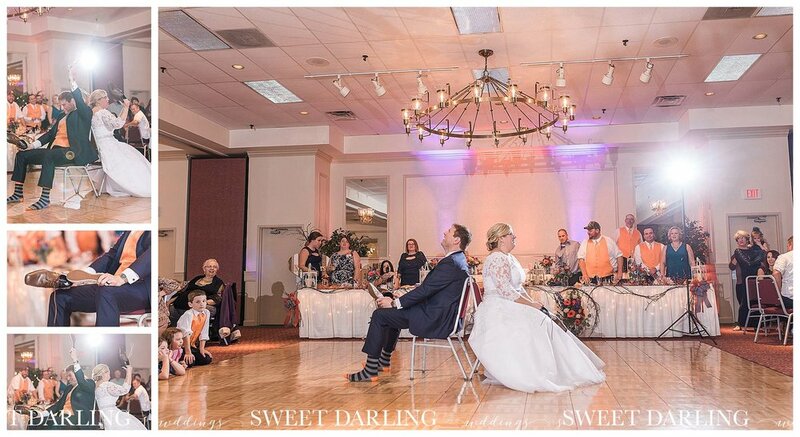 Enjoy the photos of their Illini wedding at Holy Cross Church in Champaign, sprinkled with accents of orange and blue throughout. Check out the customized "Illini" logo modified with their last own name adhered to an old barn window. That is such a unique things to display in their home. If you're from the Champaign area, you probably have not heard of the bakery called Underbrinks. It is a bakery in Quincy, IL that is famous for their desserts. We had heard, but not tried, great things about Underbrinks and we were so excited to try their famous angel food cakes. If you are ever in western Illinois, make sure you check them out! The mini angel food cakes from Underbrinks along with the sugar cookies and orange and blue mints were delish. As we often have said, "we do it for the wedding cake" and Gary and Wendy had wedding cake AND other delicious sweets for their guests to enjoy after dinner at the Round Barn Center. 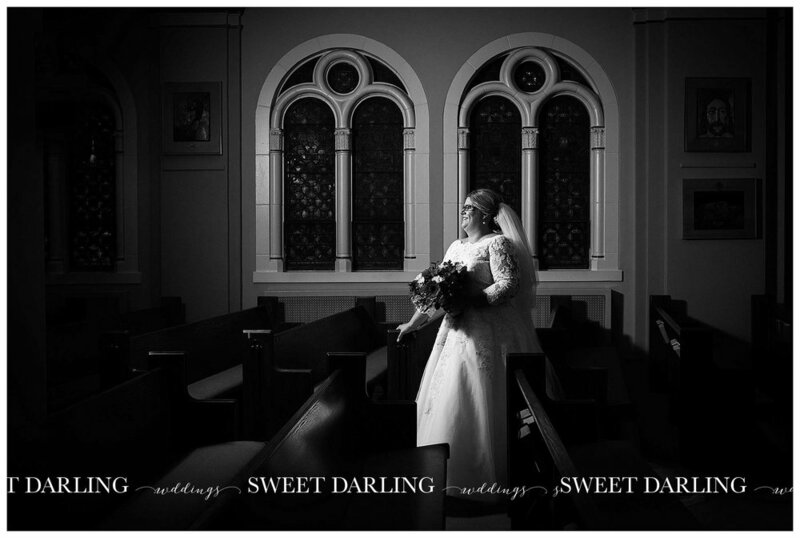 Kristin Darling and Heather Wanninger have over 12 years of combined experience photographing the connection between couples on their wedding days in Champaign County, throughout Central Illinois and beyond. 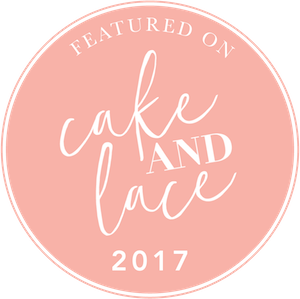 Located in Mahomet, Il, they have photographed weddings in Chicago, New York, and Mexico and are eager to add more locations to their list of destination weddings. Are you recently engaged? 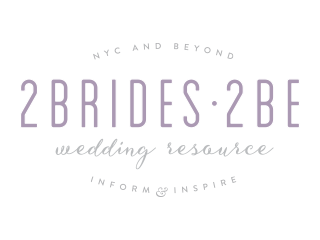 Whether you are planning a wedding in central Illinois, in another state or overseas, Kristin and Heather would love to learn more about your plans. Shoot them a message and say hello! They capture love and connection through a fun, relaxed, and creative process providing you with images that will provide you with memories that last a lifetime.